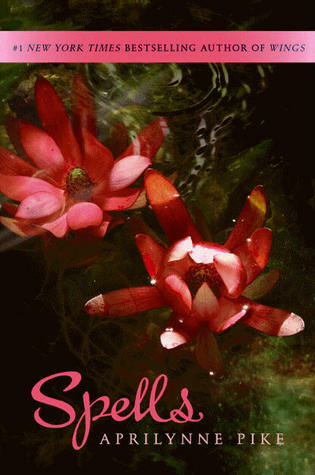 The first is the Classics Challenge over at Stiletto Storytime’s blog. You have to read anywhere from 5-40 classics from Jan.1-Dec. 31. I chose the easier “Bachelor’s Degree” level–10 classics between now and the end of the year. Classics have been harder for me to read just because of how many of them are written (despite the fact I was an English major…heh). I may end up going to the “Master’s” level if I finish before the end of the year, but for now I’ll stick with 10 that I’ve chosen…and that may change as the year goes on (check my tab at the top if you’re curious). And there’s one other challenge I simply had to sign up for: Historical Fiction Reading Challenge! How could I miss that?! Most of the books I read are historical in some way (fantasy, YA or traditional) and I’ve already read two this year (though not counting them on my list). I signed up for the highest level on that one: Severe Bookaholism, 20 books. I’m pretty sure I can hit that before the end, or at least make a good effort! Are you participating in any reading challenges this year? It’s not too late to sign up! 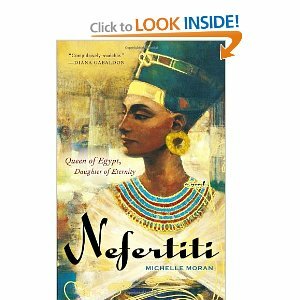 Next one I’m currently reading–Michelle Moran’s Nefertiti. 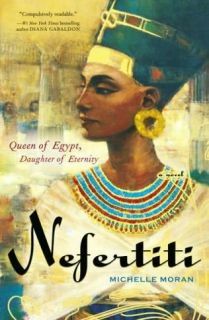 This was her debut book and I’ve read her other two: The Heretic Queen which is technically a loose sequel to Nefertiti and Cleopatra’s Daughter. Moran is wonderful and infusing history into the prose without going overboard with details. It can be a little hard to follow the names of the ancient Egyptians, but that’s to be expected. The story is wonderful so far and I’m really looking forward to when her fourth book is released, which will break from her ancient history settings and be set around the French Revolution. 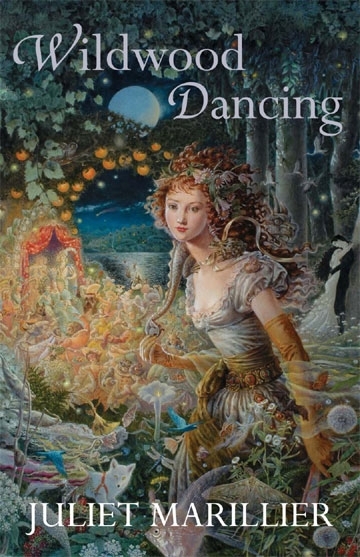 And finally, the one I still have to pick up at the library: Wildwood Dancing by Juliet Marillier. It’s loosely based of the Twelve Dancing Princesses fairy tale, and since I absolutely LOVE fairy tale/myth retellings, I had to put this on order. Plus, the cover is simply gorgeous. So, what are you currently reading–or plan on reading? Since I cannot think of a really spectacular, awe-inspiring post today, I’m going to re-post something from way back when I first started this blog. It’s about my love of storytelling and writing in general. Enjoy! I believe one of the reasons I’m so fond of writing is because I was captured by the written word at an early age. I simply cannot remember a time when I didn’t have a book in front of me. My earliest memories go back to around 3 or so, and I can remember sitting on the living room floor, reading one of those big Disney books based off the movies (Sleeping Beauty was my favorite) and having my parents point the words out to me as they read the story out loud. One of my dad’s favorite stories to tell (though I’m not sure how much truth there is to it, haha) is that at age four or five, I’m studying a cereal box and then ask what the word “carbohydrate” means. Of course I don’t really remember this particular story, but I did read the sides of cereal boxes all the time when I was little, so I suppose it’s not out of the question. Anyway, I remember I started telling stories before I could write; I’d have my mom transcribe them for me. I have a whole huge folder of these stories, now faded by the years. Still it’s interesting to see what kind of story my four-year-old self came up with. I used to love to watch Reading Rainbow too (proven by my post dedicated to the show here) I’d always try to rush to the library shortly after to get the books they recommended. I had a lot of favorite childhood books, I was especially fond of The Giving Tree and Where the Sidewalk Ends by Shel Silverstein; Love You Forever by Robert Munsch and Sheila McGraw; and of course the funny Wayside School Stories (Sideways Stories from Wayside School; Wayside School is Falling Down; Wayside School Gets A Little Stranger). And then as I got older I loved the American Girl books; those books were, in fact, what got me started in writing historical fiction (as my first “novel” was written at age 11, all handwritten ) All of these books (and MANY more) helped shaped me into the writer I am now. And of course I can’t forget the influence of family. My dad has always been one to weave stories around seemingly insignificant events, but somehow captures everyone’s attention. He doesn’t write any of them down (as they’re all based off his life) but he’s got a way of talking and grabbing your attention. His life has really been one amazing story and perhaps one day I’ll collaborate with my sister and we’ll write it all out. 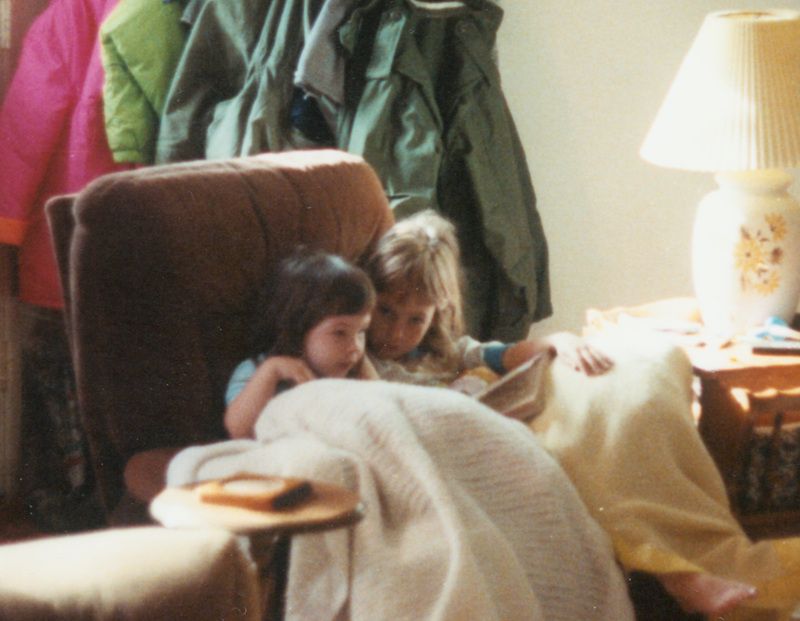 Then of course my mom was the one who spent most of the time reading to me and helping me along too. I suppose I get the artistic gene from her since she was always good at drawing and art. And my little sister (no longer “little” anymore). She and I would always come up with stories revolving around our dollhouse people, complete with names and character quirks. We did the same with our stuffed animals; we had complete histories for their little world and everything. And now, I’m happy to say, she’s becoming a writer too. She’s writes more along the lines of fantasy and sci-fi but that trait has worn off on her (maybe with some of my good sisterly influence :)). 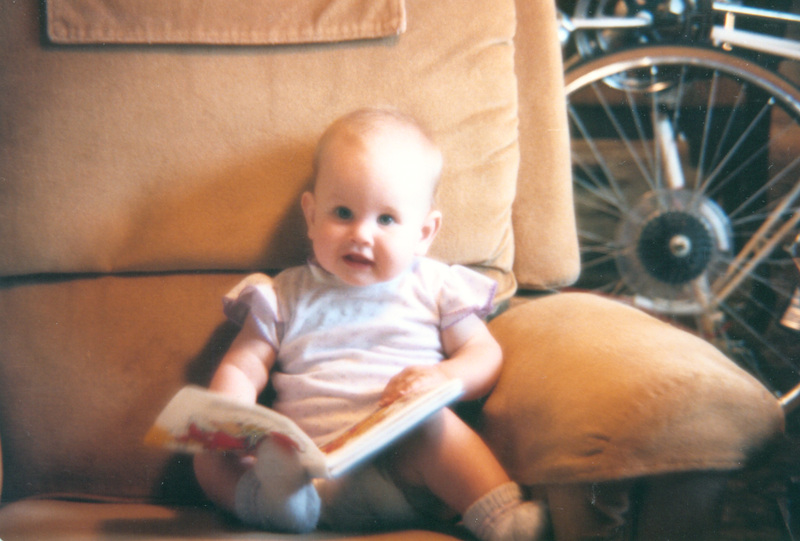 So I’m posing the question to those who read my blog: do you remember what age you started to read? What were some of your favorite books as a child? Were there any children’s books that inspired you?